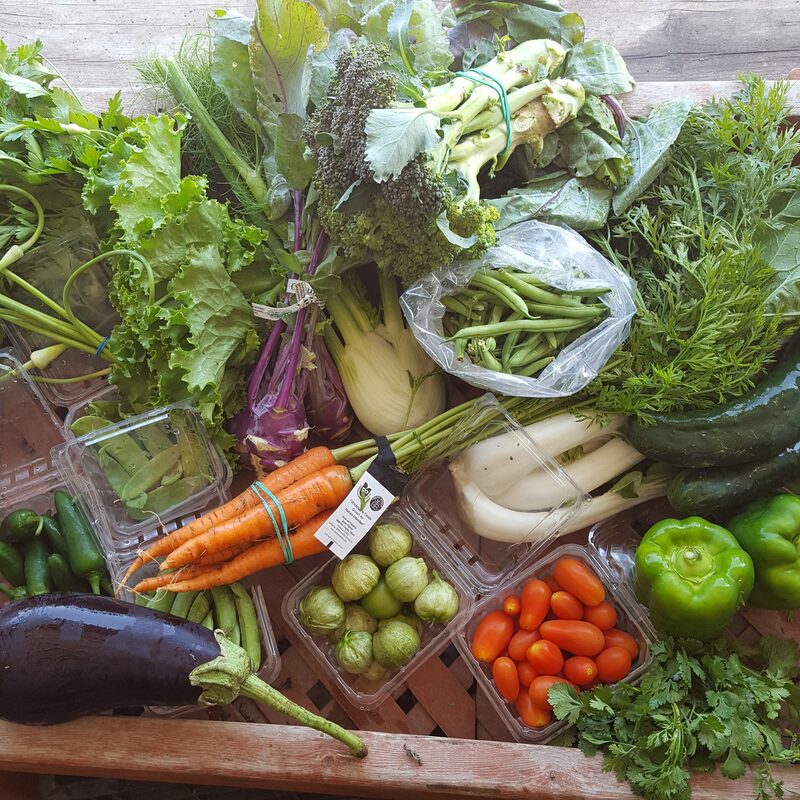 It’s week 10 in our farm share-not quite halfway there but getting close. You’ll see a lot more things in your boxes this week and Jennifer was kind enough to give us some extra garlic scapes! Here are 2 recipes (one a bit more in depth than the other) for the tomatillos (look like green tomatos in a soft covering). Here is a simple verde salsa. And another but a bit more work Tomatillo salsa recipe. 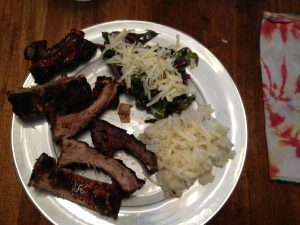 This past week I made a nice alternative to mashed potatos with the kohlrabi and my husband loved it. I even made a separate dish with the greens and just sautéed them in oil with garlic and onions with the stems, then threw in the leafs in the final few minutes. You could easily add wine to the mix, a balsamic vinaigrette and cheese to give it a bit more flare but I’m 39 weeks pregnant so I am keeping things simple lately. I didn’t use a blender I did just use a potato masher but I must admit it was very difficult to do so next time I will be doing as the recipe calls! A note from the farm! I loaded up the whole shares this week as we have some new items available, and everyone got a bonus item of garlic scapes because we had plenty and I thought everyone would be blessed with garlicky goodness. 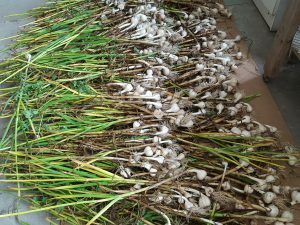 The Garlic bulbs are now curing (drying) so you will be seeing them in your box soon. Wahoo! Finally everyone can enjoy some grape tomatoes! Beefsteaks and green peppers are coming soon.